Is your GTA 5 CPU usage going mad? This tip could give you back 25% of precious processing power. Some players are still struggling with crash issues and there are various problems which still need to be resolved but perhaps this tip from Goftrey could help some people out. After noticing that the CPU was struggling and becoming frustrated with stuttering issues, especially when driving, Goftrey decided to see what was causing such a strain on the CPU (i3-4150 and a GTX 660 were in the PC). ALT-TAB out of the game, open up the Task Manager, close down the Grand Theft Auto V Launcher and then return to the game. ALT-TABing out may cause a crash but it’s worth a shot to see if it improves performance for you. Some users are also suggesting increasing the GTAV.exe to high priority in the task manager so you could try these methods together and see what you get. So far we have been quite lucky here and not experienced any major tech issues with the game and crashing but hopefully Rockstar will get a few fixes out to resolve some of these problems. If you want to know what we think of the PC version make sure you check our PC port impressions piece where we tested the game on two very different systems. Edit: Hello, Peter here, just breaking into Paul’s story. I’ve tried this out myself because I’m still using an older i3-2100 processor (paired with 8GB and a 2GB 7870.) The CPU usage was definitely a bottleneck in the port impressions linked above, and closing the GTA 5 launcher after loading up helps a lot. I’m talking an immediate 10-12fps boost across the board. That launcher must be seriously bloated. Update: Since we posted this and following further testing, it’s been reported that closing the launcher could cause the game to crash after around 30 minutes. With that in mind, the other option that may help is to set the Grand Theft Auto V Launcher to a low Priority in Task Manager. Do this by right clicking the process in task manager and set it to low. A batch file to launch the game easily with the priority settings can be created as follows. 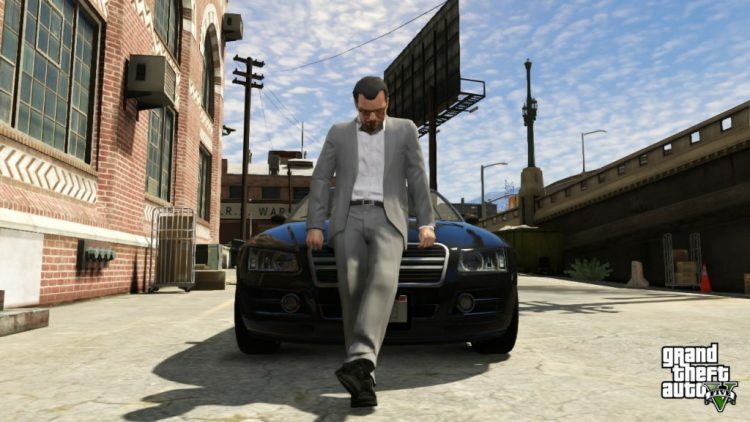 Update 2: The first GTA 5 PC patch appears to have now resolved this problem.